The Famous Flames - Black Limo, signed Ronnie Wood art. 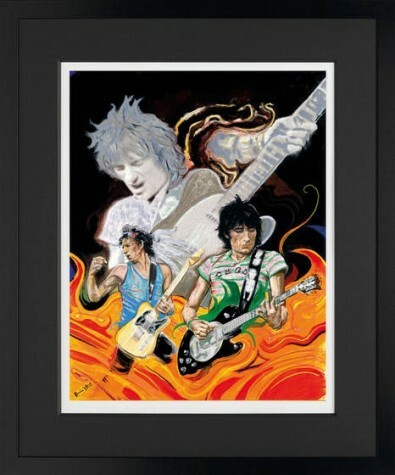 First published in 2011, this iconic Ronnie Wood art is now almost Sold Out. 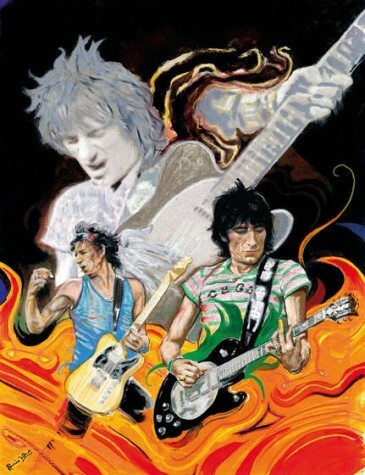 By rock & roll legend Ronnie Wood, The Famous Flames - Black Limo is a signed limited edition giclee on paper of 195. Comes signed & numbered with certificate of authenticity and is framed.